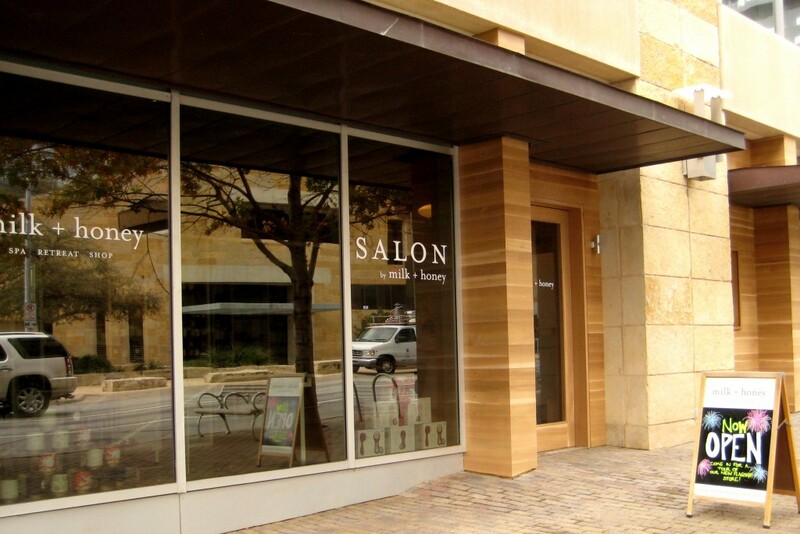 milk + honey has been a spa staple in downtown Austin for nearly seven years. On more than one occasion, I’ve been the lucky recipient of gift certificates to the spa where I’ve indulged in a massage, facial and mani-pedi, all exceptional. Formerly, the spa and salon were housed in separate locations in the 2nd Street District, but no longer! Just last week, milk + honey opened their beautiful, new, spacious location at the corner of Cesar Chavez and Guadalupe. I was kindly invited to partake in a service at the SALON by milk + honey to write about and share with all you Beautypendents. The first thing I noticed walking in to the new and improved milk + honey was how much larger the reception area is. Before, take one extra side step and you could accidentally encroach on another client’s pedicure. Once I checked in, I was shown to the salon, which faces Cesar Chavez, with a lovely view of Lady Bird Lake and the Long Center. Kenneth was assigned to be my “hair therapist” for the day to do my partial highlights. 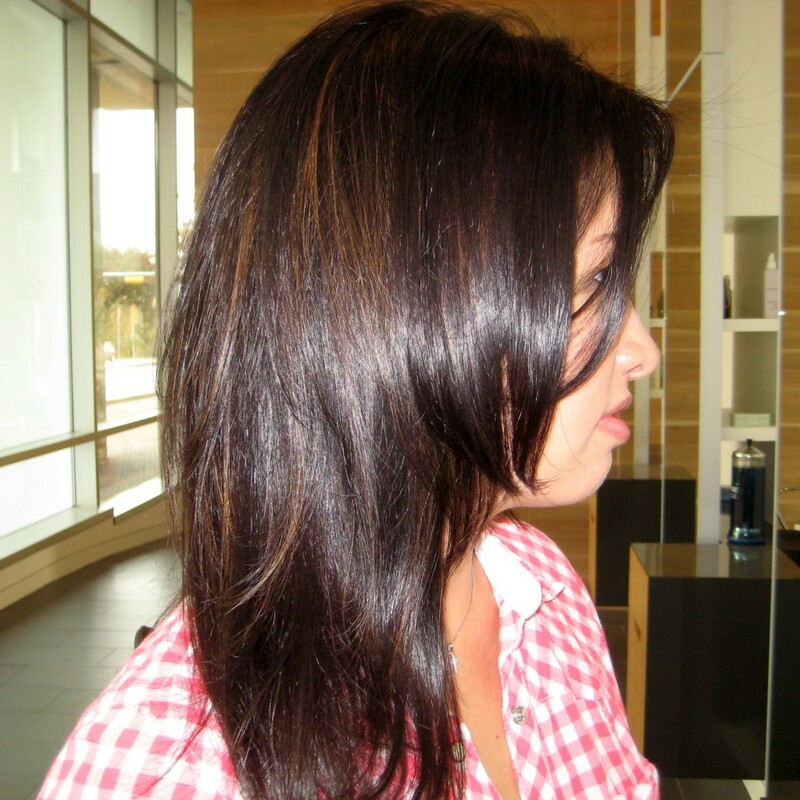 We discussed what I wanted to have done, letting him know that it had been at least three years since I’ve had highlights, although I regularly color my hair at home. Long gone are my days of wild hair color, and I shared that I wanted natural-looking brown shades, with placement underneath so the growth won’t be so obvious. Thankfully, he offered to also cover up my grays at the same time. 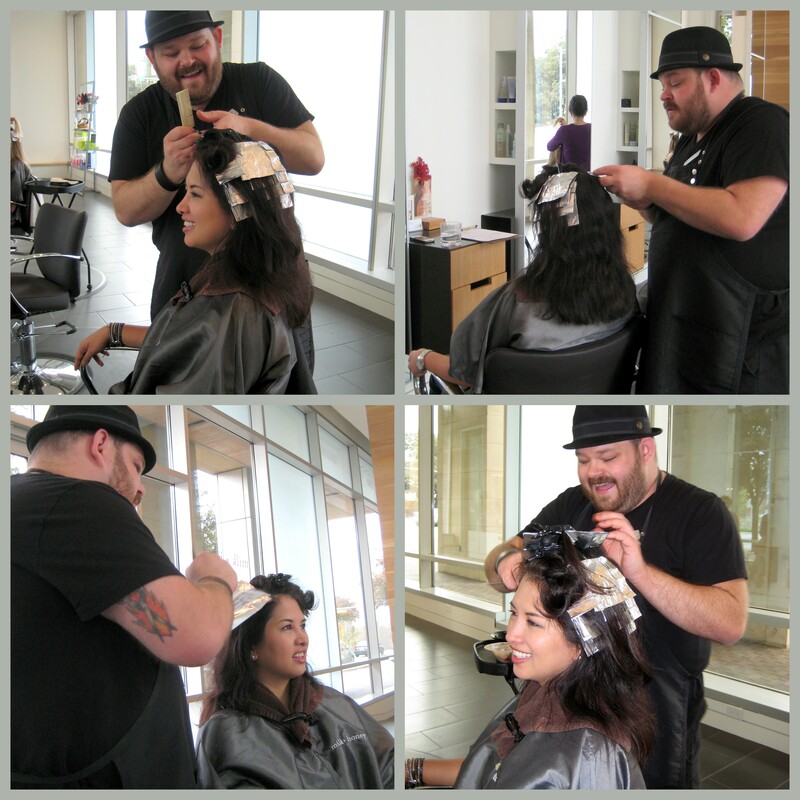 Kenneth carefully placed my foils in a halo formation around my head, to lift my black hair color. At the same time, he used a demi-permanent black to cover my non-foiled gray hairs. I then sat under lamps (not a dryer) for 20-30 minutes to help open the hair cuticle in preparation for my new color. In the meantime, I enjoyed a magazine and a mimosa. Next was a rinse, and then he deposited a toner (my new brown color) on my freshly bleached strands. Another 10 minutes and a rinse, and voila, I had my new highlights! He brought me back to the chair for a chic blowout, and you can see the results below. 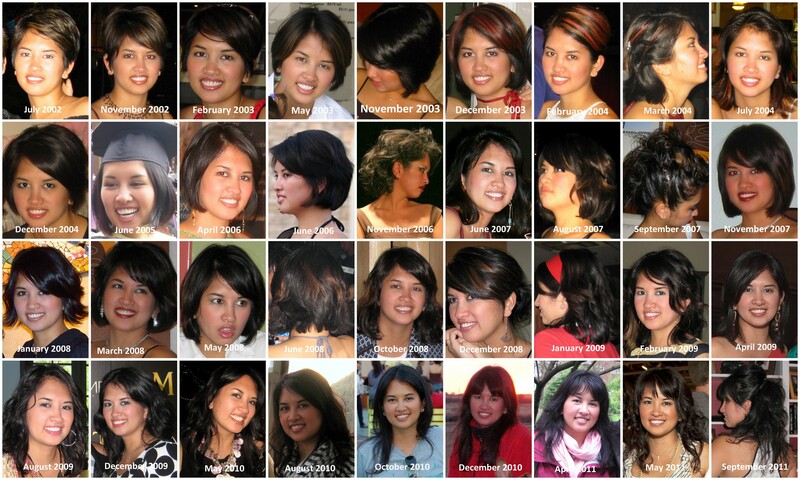 Although I’m very happy with my natural hair color, I do enjoy the dimension added by highlights. 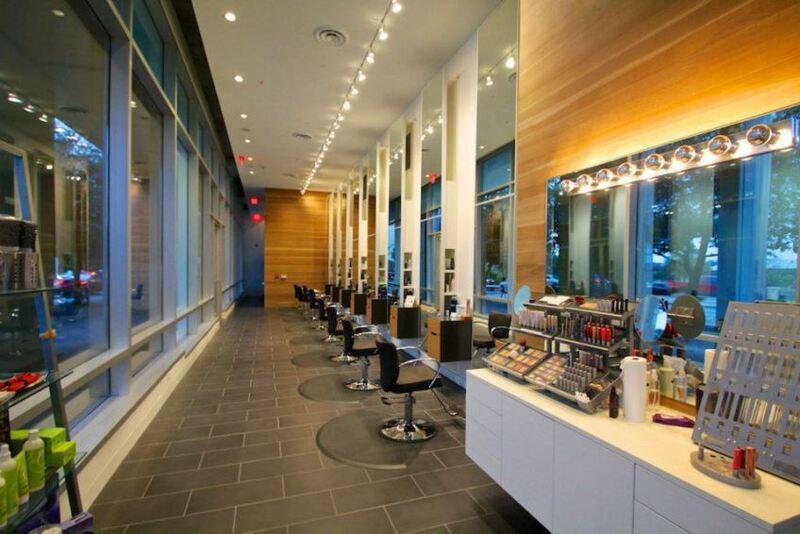 If you work downtown, then SALON by milk + honey is a great option for getting your hair services done while on your lunch break. With beautiful, spacious facilities and convenient, validated parking in City Hall, milk + honey is worth the visit. Might I add that the Austin Young Chamber FAVE Awards just named milk + honey as their “Fave Way to Treat Yourself”. What other endorsement do you need? This entry was posted in Vanity and tagged Austin, downtown, hair color, highlights, local love, milk + honey, salon on December 21, 2012 by jenn.